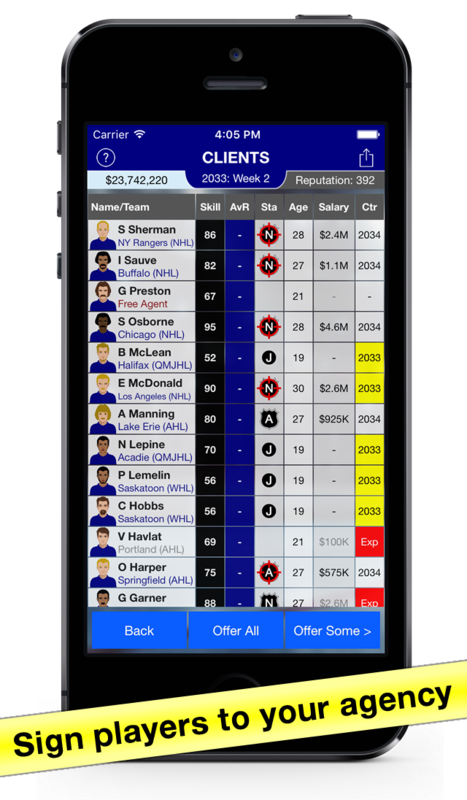 Get your clients through the draft – can you find a number one pick? 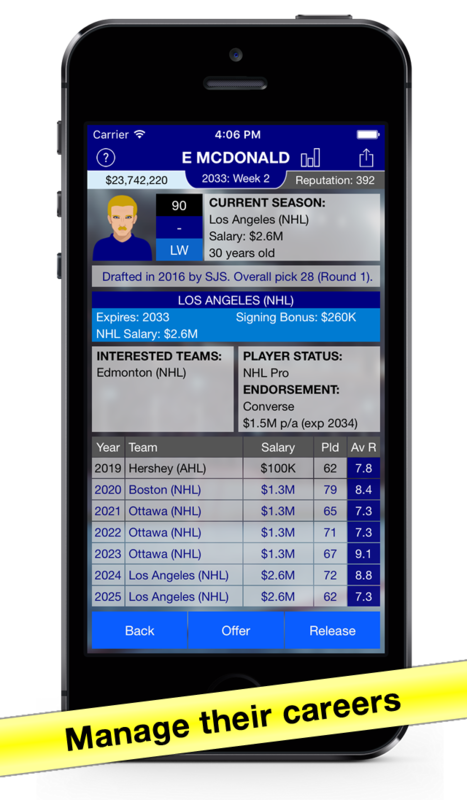 Tout your players to other teams, but don’t let their GM find out! 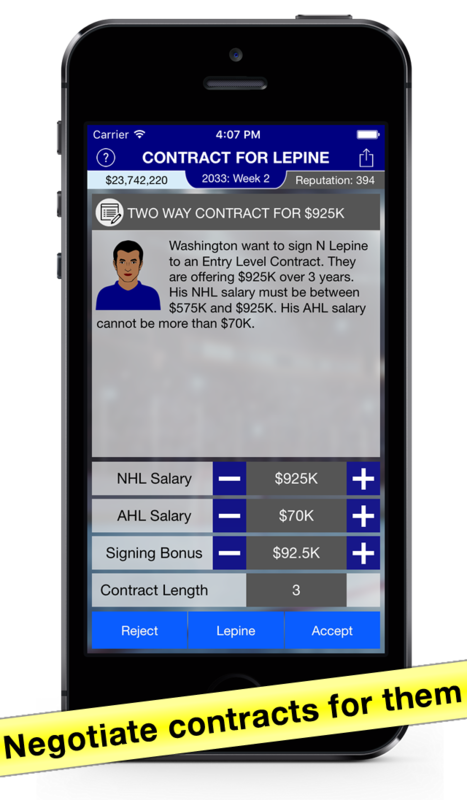 Find lucrative endorsement deals for your players – don’t worry, you’ll get your 10%! Upgrade your Scout to discover better players — can you find the next wonderkid? 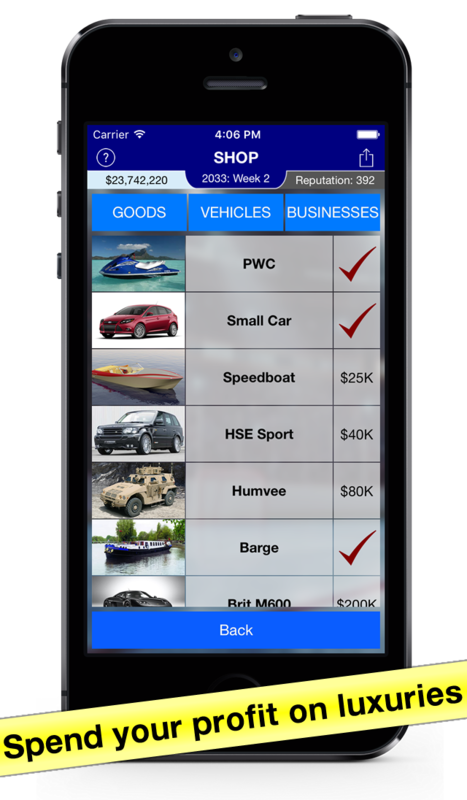 Buy luxury items and properties — show off your bling! 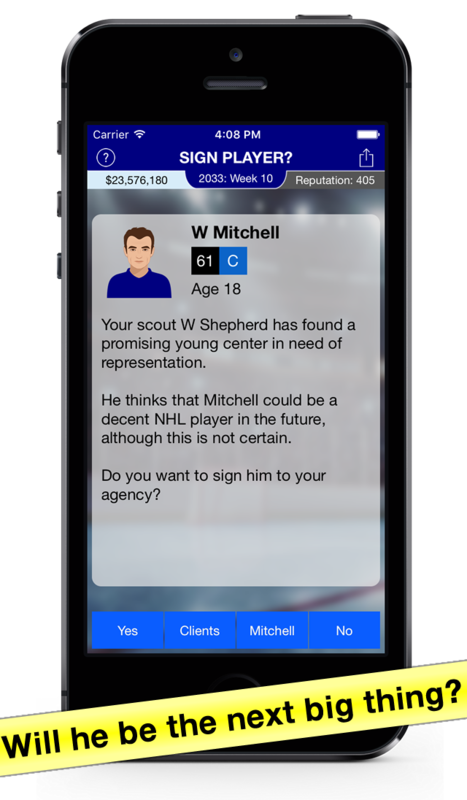 You’ve been a GM and a hockey player — now be a hockey agent! But what type of agent will you be — will you make and take bribes or will you operate within the rules to keep your reputation intact? However you choose to play the game, the ultimate aim remains the same: get very rich and retire a wealthy person. How quickly can you do it and get out of this dirty business? !